Maruti Suzuki Ciaz and Ertiga are set to be fitted with the company’s new 1.5-litre diesel engine soon. Only the premium variants of both the cars will get the new engine for now. The new engine will be limited to the Maruti Suzuki Ciaz Zeta and Alpha, and the Ertiga ZDI and ZDI+ variants. The 1.5-litre diesel engine-equipped Ertiga and Ciaz will be launched sometime later in February. 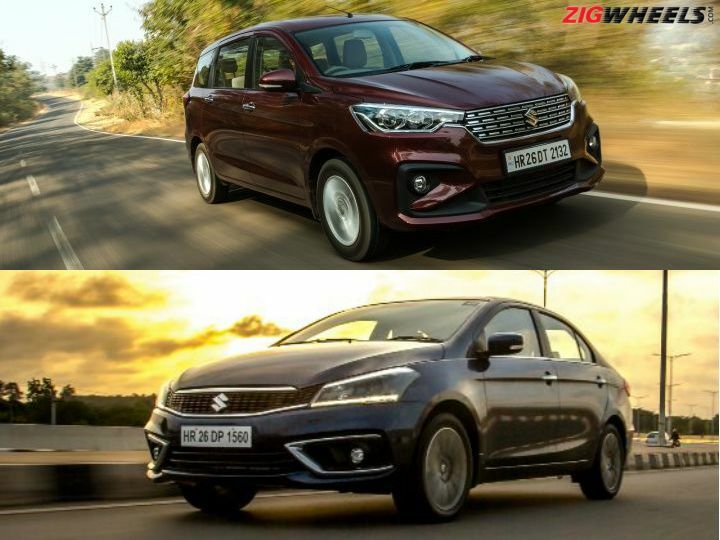 Leaked registration documents from the Delhi Transport Department show that the Maruti Suzuki Ciaz and Ertiga will receive the in-house developed 1.5-litre diesel engine soon, but only in their respective higher-spec variants. This means the new diesel will be limited to the ZDI and ZDI+ variants of the Ertiga and the Zeta and Alpha variants of the Ciaz. The all-new engine developed by Maruti will eventually replace the Fiat-sourced 1.3-litre, 4-cylinder turbocharged Multijet motor in all Maruti cars. Depending on the car it is fitted in, the 1.3-litre motor is tuned to develop 83PS/190Nm or 90PS/200Nm and paired to 5-speed transmissions. The new 1.5-litre motor, according to the leaked documents, develops 95PS of maximum power - slightly more than the 1.3-litre Multijet - though the torque figure has not been disclosed. Earlier reports peg the torque figure at 225Nm. Also not known is whether Maruti is offering the SHVS mild-hybrid system with the new 1.5-litre diesel motor. As per sources, the new engine will be mated to a 6-speed manual transmission rather than the 5-speed unit found with the 1.3-litre Multijet. The main reason why Maruti has developed a 1.5-litre motor by itself is that the 1.3-litre Multijet will require too many modifications to be BSVI compliant. The 1.5-litre motor will be BSIV compatible when launched with the Ciaz and Maruti Suzuki Ertiga but will require minimal modifications to comply with BSVI standards, when the norms kick in next year. The 1.5-litre diesel-equipped Ciaz and Ertiga are expected to be launched later this month, and prices of both of their respective variants are expected to be raised slightly. The Maruti Suzuki Ertiga diesel variants are priced from Rs 8.84 lakh to Rs 10.9 lakh. The Ciaz diesel variants, meanwhile, are priced from Rs 9.19 lakh to Rs 11.02 lakh (ex-showroom Delhi).